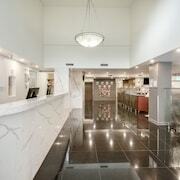 With a stay at Oaks Casino Towers, you'll be centrally located in Brisbane, steps from Treasury Casino and minutes from Brisbane Square Library. 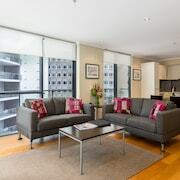 This 4.5-star apartment is within close proximity of Queen Street Mall and Museum of Brisbane. Make yourself at home in one of the 113 air-conditioned rooms featuring kitchens with full-sized refrigerators/freezers and microwaves. Rooms have private balconies. Wireless Internet access (surcharge) keeps you connected, and cable programming is available for your entertainment. Conveniences include phones, as well as washers/dryers and irons/ironing boards. Don't miss out on the many recreational opportunities, including an outdoor pool, a spa tub, and a fitness center.